Palmer has one of the coolest baseball cards of all time. 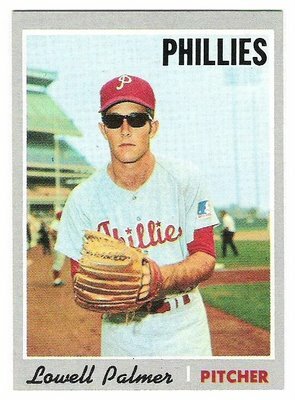 In 1970, he refused to remove his sunglasses for his Topps baseball card photo shoot. He refused again in 1971 and his major league claim to fame was etched in baseball history. Palmer, however, did not have a distinguished career, finishing among the league leaders in wild pitches in 1970 and 1974, and hit batsmen in 1974. In five major league seasons and 106 games, he was 5-18 with a 5.29 ERA. Rivera has five blown saves this season, which equals his total for last year and is the second-most failures in his career. Thanks to Carlos on FB. Field of Dreams opened in cinemas on April 21, 1989. During the film, as you know, Kevin Costner’s character goes to Fenway Park with James Earl Jones’ character to watch the Red Sox play the Athletics. We can assume that the film was shot in 1988. There is a brief shot of Kevin Costner (or a hand pretending to be Kevin Costner) keeping score. or…Why Hitting Streaks Continue To Matter (Sort Of). Many people have asked: What’s statistically less likely — DiMaggio’s 56-game hitting streak or Ted Williams’ 84-game on-base streak? Williams reached base 84 straight games in 1949. 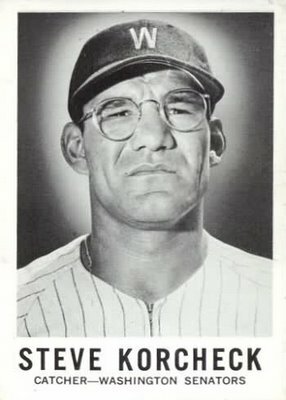 He also reached base every game from July 20, 1941 to the end of the season. That guy was pretty good at getting on base. Maybe much could change in the last six weeks of the season to change this outlook, but from the looks of things now, the neo-number guys are going to have a tough time pulling an American League Cy Young award winner out of their computerized hat. Last year they came up with Felix Hernandez, whose 13-12 record belied everything the award had ever meant. The neo-number guys told us that wins don’t mean anything, that it’s the last thing on which to judge a pitcher. Forget Tom Seaver, Roger Clemens, Catfish Hunter, Jim Palmer, Ferguson Jenkins, Robin Roberts and all those other guys. But before trying to reinvent the Pirates, Hurdle had to reinvent himself. “I’ve gone through an obstacle course and come out the other side bigger, stronger and better,” he said. “I’ve learned and lived, on and off the field. Hurdle would know. A recovering alcoholic, he helped sabotage his promising career on the field and lived less than responsibly off it. In many ways, life began at 40. During the 1950s, San Francisco Seals were the most fortunate players in baseball. Paul Fagan, their generous owner, spared no expense to make his squad comfortable…. One of the most innovative minds in baseball, Fagan introduced concession stands, upgraded the Seals Stadium ladies room with a million dollar investment and built a spring training facility on Maui. Fagan, whose personal fortune came from his family’s banking businesses and Hawaii real estate made sure his players always traveled first class. The Seals even had large sleeping quarters, a spacious dining area and a soda fountain where they could get ice cream at any time…. Yeah, like the unnerving 1960 Leaf Mass Card Set has no history of its own! The Topps Company has filed a lawsuit in NY against Leaf Trading Cards—claiming Leaf is using ICONIC Topps baseball cards—including the 1952 Topps Mickey Mantle rookie card—to promote a new Leaf product. It’s sorta weird—Leaf has a new line of cards called “2011 Best of Baseball” ... and in every pack, collectors will get 1 new, original Leaf card and 1 bonus card which, depending on your luck, could be a pre-1970 card featuring a Hall-of-Famer. According to the lawsuit, Leaf put together a promotional ad featuring some of the bonus cards—which include the Mantle card, a 1980 Topps Rickey Henderson, a 1972 Topps Carlton Fisk card and more. Bruce hit another homer. The two-run shot was his 25th of the season and second in as many nights. But the barrage didn’t end there. The Reds hit a season-high seven homers in an 13-1 victory, their fourth straight. It’s the first time the Reds have won that many in a row since they had a five-game winning streak from May 13 to May 17. Five of the homers came early and often against Padres starter Tim Stauffer, who left with the loss after three innings, having allowed nine runs on seven hits. Adding a lone Padres homer by first baseman Kyle Blanks, the two teams smashed eight homers in Saturday night’s game, tying the record for homers in one game at Great American. The clubhouse door stayed shut for several minutes after the Marlins’ 3-0 loss to the Giants on Saturday at Sun Life Stadium. The aftermath? Veteran Wes Helms was released and left fielder Logan Morrison was shipped to Triple-A New Orleans. Helms, 35, was batting .191. Morrison 23, was hitting .249 with 17 homers and 60 RBI, the third most among the regulars. Vazquez (7-10), the Marlins’ most consistent starter since June 16, deserved a better fate than allowing three runs on five hits while tying a season high with 10 strikeouts and no walks in seven innings. Wily Mo playing OF in Safeco probably would be quite comical, although unlikely to occur. Justin Smoak was placed on the disabled list by the Seattle Mariners on Saturday for a non-displaced fracture of his nose. Taking his place on the roster is much-traveled OF/DH Wily Mo Pena. He was selected from Triple-A Tacoma and was in uniform for Saturday’s game against the Boston Red Sox, one of four teams Pena has played for in his career. Smoak was hit in the face by a bad-hop grounder in the second inning of Friday’s game. X-rays revealed the fracture and a CT scan also showed a hairline fracture of the maxilla bone in his left cheek. In related news, the dugout Gatorade dispenser has just been taken off the 90-day DL. In a virtual reenactment of the end of Milton Bradley’s Cubs career in 2009, the players had few positive things to say about what might have been Zambrano’s last act with the team. For five games, Posada sat patiently and waited and his opportunity finally came Saturday when Girardi put him back into the lineup as the D.H., batting eighth. The results were nothing less than remarkable. With the fans giving him a rousing ovation as he went to the plate for the first time in the second inning, Posada rewarded their faith with a two-run single. But that was merely the appetizer for what would follow three innings later. In one of the memorable moments of the season — at least for Posada — he hit a towering grand slam off reliever Brandon Gomes to lead the Yankees to a breezy 9-2 victory over the Tampa Bay Rays. The Giants placed outfielder Andres Torres on the 15-day disabled list Saturday with a contusion in his lower right leg. Brandon Belt was recalled from Triple-A Fresno to take Torres’ spot on the roster. The 23-year-old Belt was hitting .309 with eight homers and 32 RBIs in 49 games with the Grizzlies. The Giants’ top prospect has spent time at first base and the two corner outfield positions. This marks the fourth time Belt, who was the Giants’ Opening Day first baseman, has been with San Francisco this season. In 31 games, he has a .218 average with two homers and seven RBIs. Two of his 20 starts this year have come in left field. Johnny WholeStaff pitches the three-hit shutout, helped by some horrible ABs in the ninth by Andrew McCutchen and Matt Diaz. Marco Estrada pitched five innings in a spot start, combining with four relievers on a three-hitter, and Yuniesky Betancourt homered to carry the NL Central-leading Milwaukee Brewers to a 1-0 victory over the Pittsburgh Pirates on Saturday. Takashi Saito, LaTroy Hawkins, Francisco Rodriguez and John Axford, who earned his 34th save by working around a lead off triple in the ninth, completed the shutout. So Thome stood both on the brink of history and of suspicion. The former he earned, the latter he did not. As in track and field with doping, so with baseball: Awe yields to doubt. Genuine accomplishments are more tainted than they would have been had a ball-and-chain of asterisks clattered after them. It is hard to prove a negative, that Thome did not take steroids. That is particularly true because his body thickened during his first years with the Tribe. The Cubs will hold onto general manager Jim Hendry, barring a change of thinking among the the team’s owners, the Ricketts family, according to Bob Nightengale of USA Today (via Twitter). Smoke the Objective pipe for Jim Hendry. 1. Boston (37,666) Red Sox Nation not only fills Fenway, where there have been 690 consecutive sellouts, but the team’s fans travel, too. 8. Dodgers (36,949) The fans are loyal and passionate. That they’ve stayed home this season only underscores their feelings for the franchise. The Arizona Diamondbacks have signed free agent infielder Lyle Overbay and placed infielder Xavier Nady on the 15-day disabled list with a fractured left hand. Arizona designated pitcher Juan Jaime for assignment. Nady was injured Friday night when he was hit by a second-inning pitch from the New York Mets’ Dillon Gee. The 34-year-old Overbay was released Tuesday by Pittsburgh after hitting .227 with eight homers and 37 RBIs in 103 games. Overbay was drafted by Arizona in 1999 and played with the Diamondbacks from 2001-03. Look at all the Yankees! Yes, there are quite a few Yankees. This does have to do with the Yankees being in a lot of World Series. But some of the all time lowest scores are also Yankees. The Yankees have been given more opportunities to succeed, which would bump their WPA up. They also have many opportunities to fail, which would drag it down. There are also opportunities to do both, which would keep it around zero. So these guys with high scores are consistently good, and that’s good for something. Bloody socked Curt Shilling is tied for 31st all time (1.10 WPA) with Johnny Podres, Jim Palmer, and Bill Dinneen. Using an interface modeled after the MLB At Bat 2011 app, minorleaguebaseball.com is now offering the free Milb.com Triple-A app, providing scoreboard and pitch-tracker information for every Triple-A game over the rest of the season. The app also features a customizable home screen that can be set up with one’s favorite affiliate, archived box scores from the 2011 season, roster information and schedules. “What I’m saying now is I wasn’t into the guy taking 2-0 and 3-1,” Millar said of his initial impression of Youkilis’ overly-patient batting style. “You work to get those counts in the show. Those are your moneymaker counts in the show, 2-0 and 3-1. By god, and you’re taking those counts. Cubs third baseman Aramis Ramirez took exception to former teammate Todd Hollandsworth calling him out publicly Friday for lack of ­effort and for failing to be a positive influence on younger players, and he took his own shot in response. ...Ramirez, who has done some behind-the-scenes work with Castro in particular, was not happy. ‘‘One thing I got to say is I’ve never seen him in the clubhouse, so I don’t know how he comes up with that,’’ Ramirez said. ‘‘He should ask the young guys before he makes that kind of statement. Talk to Barney, talk to Castro, and see what they say. That’s all I’ve got to say. We’ve been over this before: Mike Laga is a legend. In addition to having one of the most prolific baseball cards in Cardinals history, he hit a ball out of Busch Stadium. Out of Busch Stadium. 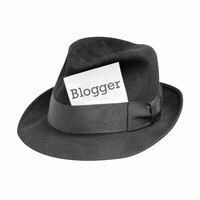 Now, a few weeks ago, we postulated that this notorious event never happened; since footage seemed nonexistent and details of the feat are always presented as folklore. Today, we eliminate that doubt. While the Cardinals may have trashed their archives, the Mets (the opposition that night), documented it in their 1986 video entitled “A Year to Remember”. And he’ll still deserve an early hookah! In the eyes of many, Burnett (8-9, 4.60 ERA) hasn’t pitched well enough to keep his spot in the rotation. But Cashman sees things a bit differently. He thinks everything has been overblown. The Yankees, who have used a six-man rotation for nearly two weeks, will go back to a five-man rotation next week. Carlos Zambrano had a rough night, serving up five home runs and trailing 8-1 in the fifth before being ejected by plate umpire Tim Timmons for allegedly throwing at Chipper Jones. The Cubs lost 10-4. After the game, Zambrano’s locker was already cleaned out and the pitcher told a team trainer that he had retired. A day meant to celebrate Bobby Cox’s induction into the Braves Hall of Fame, turned bittersweet on Friday evening when word came that legendary Braves broadcaster and fellow Braves Hall of Famer Ernie Johnson Sr. died. He was 87. His son Ernie Johnson Jr, also a sports broadcaster for Turner Sports, confirmed the news to Braves broadcasters Joe Simpson and Chip Caray, who began spreading the word during Friday’s broadcast of the Braves-Cubs games. The gentle-voiced and kind-hearted Johnson spent 35 years broadcasting Braves games, beginning in 1962 when he was hired as the color commentator for the Milwaukee Braves. He was inducted into the Braves Hall of Fame in 2001. The team also challenged the relevance of “all allegations relating to gang activity at Dodger Stadium and purportedly rough neighborhoods surrounding the stadium.” The Stows, in their lawsuit, claim that security officers and stadium managers knew about the threat and neglected to take steps to protect innocent people like Stow, including not hiring a security chief for six weeks before Opening Day.